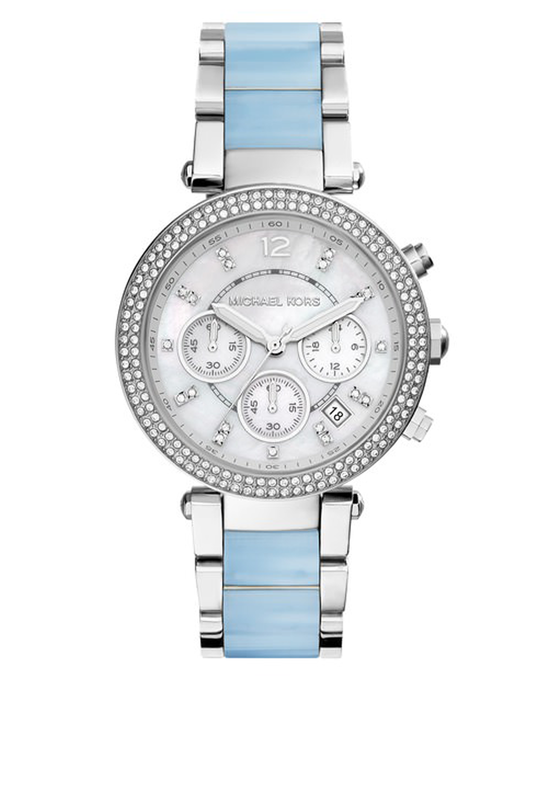 Michael Kors present this sleek ladies parker watch trimmed with sparkling pave stones and chambray acetate accents. 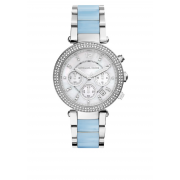 The round face of this stunning watch has a mother of pearl dial with sparkle detailing at each hour position. Featuring a date, second and twenty-four hour dial.